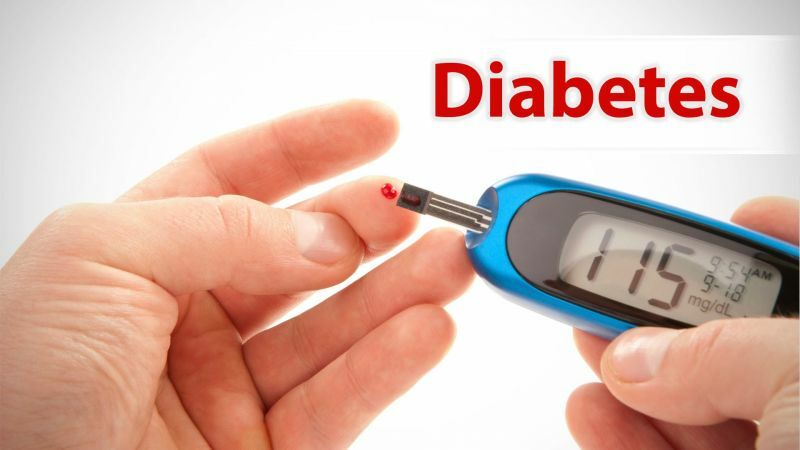 ROAD TOWN, Tortola, VI- Diabetes is a non-communicable disease that is reportedly affecting a large amount of persons in the Virgin Islands. For many it is just something they have to live with. However, Ramoes Hatchett is not such a person. 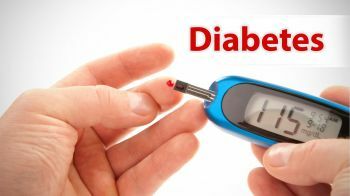 Mr Hatchett has gone public with his story of how he “reversed his diabetes”, a disease that has affected him since childhood. 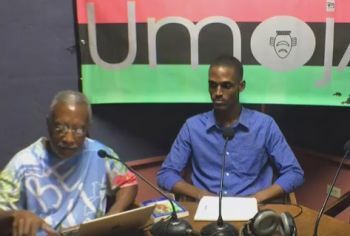 Appearing as a guest on the ZBVI 780 AM radio programme Umoja with host Cromwell Smith on June 1, 2017, Mr Hatchett, a former student of the then BVI High School (now Elmore Stoutt High School), shared that he was diagnosed with diabetes, which was inherited from his mom. From his research, Mr Hatchett discovered that the food he ate contributed to his diabetic condition. During his research, Mr Hatchett said he discovered that his diabetes could be reversed by following different steps on healthy living. “Yes, I remember when we was 12 we use to go to Peebles hospital and we use to have to take insulin for about an hour or two on the pumps,” Mr Hatchett replied. Mr Hatchett shared that he decided he was going to reverse his diabetic condition and proceeded on a path of research and found that a certain type of diet could be effective in reversing that process. “When I went away is when I discovered about the eight laws, which include water, sunlight, temperance, exercise, nutrition, trusting God…….. I used to eat 6 meals a day. For eight years I didn’t consume flesh. I realised that flesh was the main culprit of it. Mr Hatchett said he started to use less meat products until he stopped completely. “People would ask how you going to replace protein? I used beans all type of beans and I would combine them and make patties, burgers and different things and still consume the carbohydrates, fruits and vegetables. When I came off flesh completely and used my protein from beans that’s when I have seen increase of energy. I’ve been off insulin for 10 years,” Mr Hatchett stated. Good job. cinnamon can help as well. Our organization which boast over $600 million in assets should invest a portion of money to research the things that are affection us as a people. Often times sit with this guy in Mellow Moods and chat bout life and health HE IS THE TRUTH! BLESS UP YOURSELF KING! The conventional doctors not going to like you because you denting their pocket selling us poisons. Eat hamburgers/meat everyday and you start looking like one. Just look around our community, obesity in our community is on full steroids. Eat natural and you look like a healthy, vibrant, glowing, living tree. Red meat, white sugar, white salt, white bread are all deadly- should be only eaten by vampires and not by people of the sun. white rice to that list as well good going. Sure seems like a hidden message here. LOL! Our communities need to get together and start helping each other plant a few fruit trees, vegetable and herbs, for anyone with a little backyard yard or land. We need to eat more natural vegetables and fruits. This will be good for our health both inside and out, good exercise in the process, a way to form bonds and build togetherness within our communities for adults and children alike. There are good program our government should supplement instead of investing in failing ventures. The upside, healthy people all around; good for our environment; good for our tourist outlook. Pride in our environment while eating healthy, creating beautiful esthetics around our homes and gardens, Sun, Sand, Sea, and Good Food. There is a winning ad for our Tourist sector. But we still need to get our customer service quality up to an acceptable islands-wide operating standard. First-Class all around. Every person in the service industry must achieve a customer service standard certification from HLSCC to work in the industry. HLSCC are you listening? We talking about ridding diabetes and you o another topic, man. Cant help, nuh? @Positive. I understand where you coming from, but you must see the big picture. It's all encompassing when thinking critically while reading the rest of the comments. Nuff Love and Health. Have you ever when out and experience a horrible encounter with anyone in the food service industry, not targeting, just for example? Did that food digested in your stomach properly? We need to understand the full dynamics of food and health. How does it feel when food is given with care. love, and respect? It fully nourishes the body, mind, and spirit, doesn't it? Let's expand our "wholistic" understanding of food and what it can do for everything involved. The nurses just implemented a similar measure of service operating standards for their industry. Good ideas. We need this all around in all our service industries. This community garden program sounds like a great idea. Then we can start sharing and helping each other save on this high food bill every week in these overpriced food stores. We can organize and coordinate so we can plant a diverse variety of vegetables, herbs, and fruits amongst each other. This is like the old days becoming new again. Lea we do tis ting people! Way to go Mr. Hatchett - Proud of you. Happy to see a young man who was sick and put the time in research to seek knowledge for his condition. The medical Industry (to use a line from Bob Marley) Brain Wash Education. They don't want to make us well, refill, refill - pills, pills etc.